Grilled Caprese, a new twist on this Italian Classic! 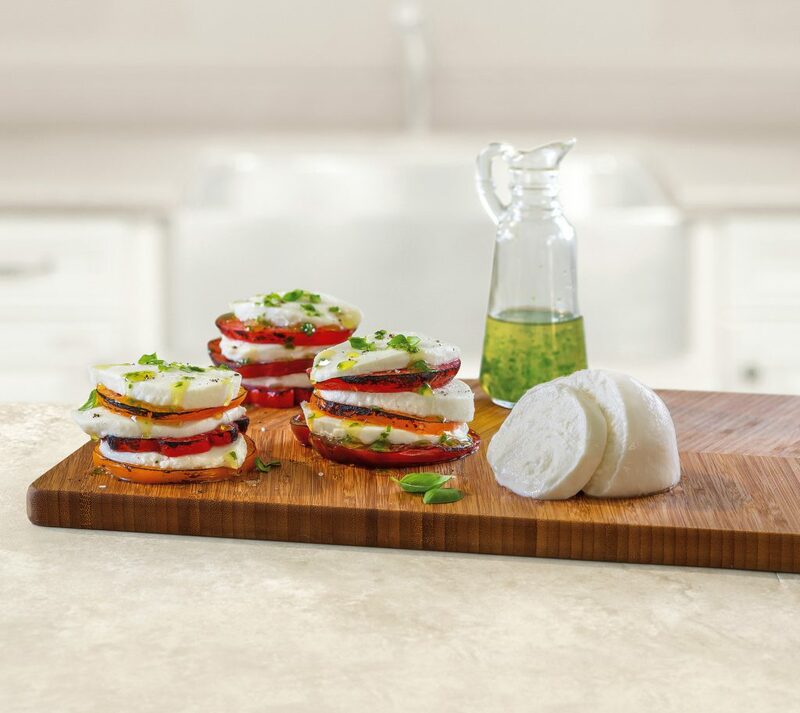 The crisp smoky taste of the grilled tomato paired with the warm, vivid taste of the Fresh Mozzarella is sure to be a hit with everyone. Combine 4 cups fresh basil and 2 cups olive oil in a food processor and mix until smooth. In a saucepan, simmer olive oil and basil puree over medium heat for 1 minute. Strain mixture through cheesecloth into a bowl. Let the mixture sit 1-2 hours. Pour infused oil into a jar and seal if not used right away. Heat grill to medium. Oil the grill grate. Brush tops of tomatoes with olive oil and salt to taste. Grill 3-4 minutes on each side (until you see grill marks). 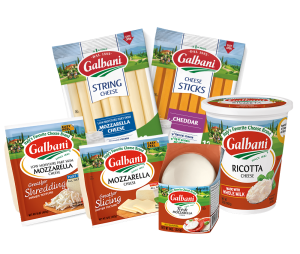 Layer Galbani® Fresh Mozzarella, tomato, and fresh basil on serving plate. Drizzle with basil-infused olive oil. Garnish and server with remaining fresh basil. Add some spice! Slice a few peppers and grill those along with the tomatoes. Add a few pieces of sliced pepper with the tomatoes to add even more flavor and color.